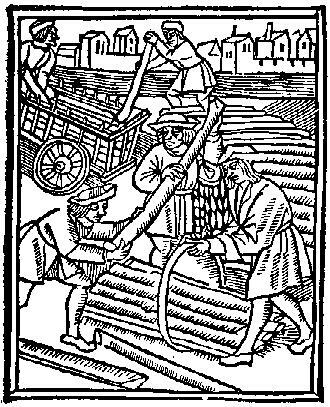 Why a page on medieval tool making? Well we are not only medievalists but true living history enthusiasts who maintain a medieval workshop. "Priors Forge" is where construction of goods as they were made in period can be achieved by our membership. This allows a more serious study of medieval technique than offered by other groups. The video below is not my own but an example of a period style plane. The one I build and will teach others how to make is a Krenov Style Hand Plane that can be modified to the time and era of what we do rather readily. See some of the 13th century planes here, they are basically Krenov style block planes. Creating 13th Century Plane blades. Types of bits period to the 11th to 13th century. A Modern way to construct this period saw. By black walnut studio. Building a Anglo-Saxon to medieval draw knife. Building a fire steel to go with your flint.